In this article, we’re going to go over our top five picks for best 144 Hz gaming monitor. Our five picks run the gamut in budget, resolution, and even form factor. Regardless of what you’re looking for, we’re pretty sure you’ll find it here. If you don’t already know what you’re looking for, we’ve also included extensive specs and a buying guide to help you pick which 144 Hz monitor is right for you. We aren’t going to assume you know everything. If you aren’t familiar with monitor specs and what they mean, feel free to scroll down to the buying guide at the bottom of the article before checking out our picks. You can also ask us questions in the comment section, if you have any. Now, though… let’s hop into it! 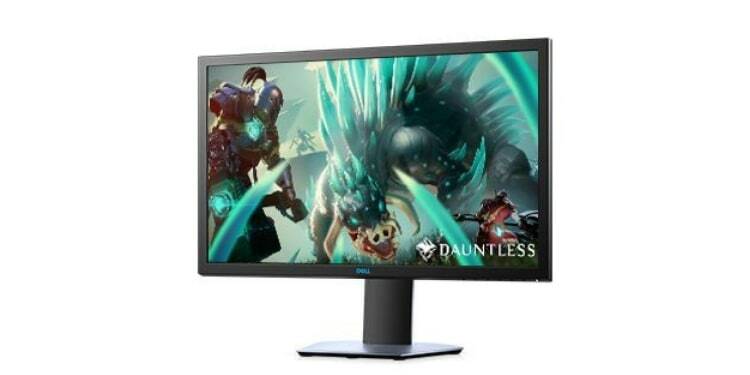 The Dell S419HGF Gaming Monitor is one of the cheapest 144 Hz monitors we were able to find on the market, and fortunately comes from a reputable brand. For less than $200, you’re getting a 1080p 144 Hz display with a 1 ms response time and FreeSync. That’s not a massive leap over what you’d be paying for a standard 24-Inch 1080p monitor in price, but it is a massive leap in smoothness and overall gaming experience. The only real downside worth noting with this monitor is its TN panel. TN panels translate to worse color reproduction and viewing angles at the benefit of cheaper prices and a marginal improvement in latency. For truly professional gamers or people on a tight budget, this may be a worthwhile tradeoff. Most players would probably be better-suited to one of the IPS panels listed below, though. 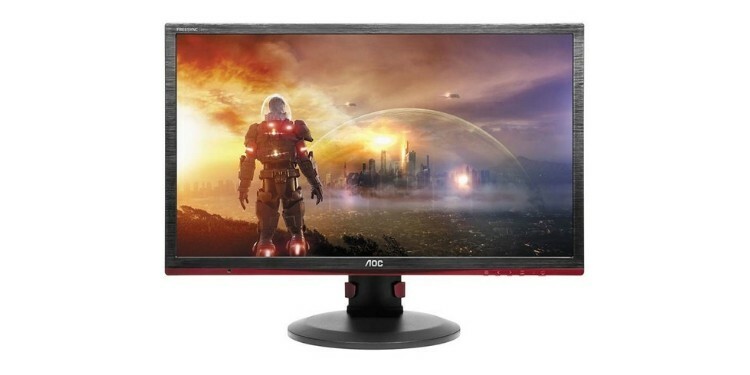 The AOC G2460PF is the best 144 Hz monitor for the money, and arguably the best gaming monitor for the money. For just under $200, you’re getting the core gaming features of FreeSync, 144 Hz, and a 1 ms response time in a 24-inch 1080p monitor. For budget-minded gamers, that can’t really be beat. If you’re reading this article sequentially, you may notice that seems to be quite similar to the above pick, but just more expensive. For your extra money, you’re actually getting a few extras: a massive boost to adjustment options. Everything from tilting your screen a full 90 degrees and height adjustment is here, and that’s easily worth the extra ~$20 or so you’ll be spending. Ultimately, this is what sets this apart from the above monitor and makes it the best 1080p 144 Hz monitor. The same TN panel downside mentioned above applies here, too. The TN tradeoff may be preferred by pro gamers and insignificant to budget gamers, though, especially if the game is more important to you than its visual quality. 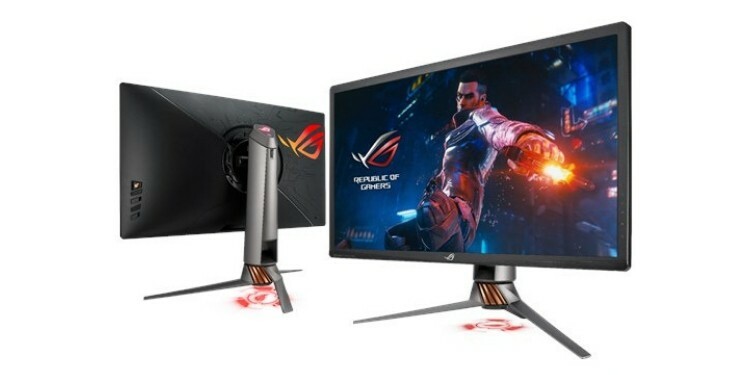 The ASUS ROG Swift PG279QZ is the first high-end monitor on this list, and that shows in a high-end price tag. You’ll be spending around $600 on this baby, and that’s a lot of money to ask, even for most enthusiasts out there. It’s our belief that tech purchases are long-term investments, though… so how does this monitor stack up in that regard? First and foremost, the refresh rate. In addition to the 144 Hz standard across the monitors in this article, you should also be able to overclock your monitor to 165 Hz. This is supported by ASUS themselves, and while it is a marginal boost overall it’s still a boost, and a meaningful one at that. Second, size and resolution. You get a 27-inch monitor, versus the standard 24-inch. At an average viewing distance, this results in a far more immersive experience, and the respectable bump up in PPI makes the resulting image look even more high-fidelity. Third, the display as a whole. You have an excellent IPS panel with high color accuracy and viewing angles. You have G-Sync, a ton of adjustment options, and a respectable 4 ms response time. Combined with the 165 Hz refresh rate and other benefits, this should be an amazing display for any gamer, especially one with good enough hardware to push 100+ FPS. This is the highest-end monitor in this roundup, and it has pretty much everything you could ask for. Before we get to the downsides, let’s just talk about how feature-packed this thing is. You get a 27-inch 4K display with stellar pixel density. Combined with the IPS panel and HDR support, you’re going to have an unrivaled viewing experience with this monitor, something that console gamers could never even dream of. The 144 Hz refresh rate and G-Sync support compounds upon that. If you take care of this monitor, you’ll have no reason whatsoever to upgrade it for years to come. Oh, there’s also RGB, if you’re into that. Wouldn’t be a high-end “gaming” product without that, we guess. Minor downside, you can’t overclock this one. This is already kind of pushing the peak of what monitor technology is capable of today, so that makes sense. It is a slight downside when compared to its 1440p little brother listed above, though. Major downside… this thing is expensive. Like, nearly $2,000 when it isn’t on sale expensive. That’s going to be a hard sell for anyone who isn’t already rolling in cash, but if you are, we say go for it. 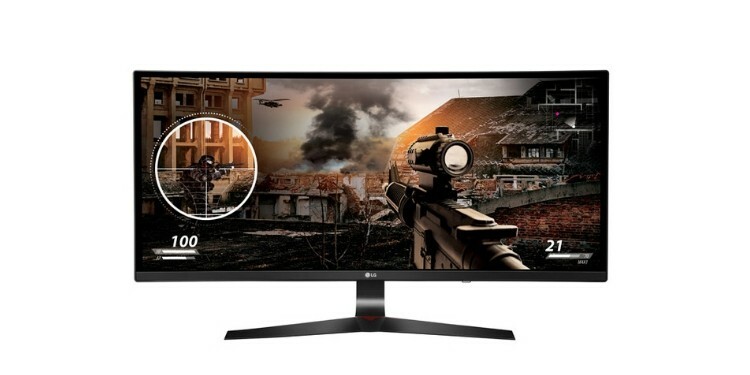 The LG 34UC79G-B is our pick for best 144 Hz Ultrawide monitor. First, let’s talk about the “Ultrawide” part. This Ultrawide monitor comes in at the standard Ultrawide aspect ratio of 21:9 and a resolution of 2560 x 1080. It’s also 34 inches, and curved. Its large size and curved form factor mean that you’ll probably want to sit a little bit further back from this monitor than you would with a standard 24 or 27-inch 16:9 display. In addition to the 144 Hz refresh rate, you also have an IPS panel for superior color reproduction and viewing angles. Combined with G-Sync and the ability to overclock (most seem to report 150 Hz as a stable target), and you have a pretty strong gaming monitor. The 5 ms response time is a bit high, but this shouldn’t make any meaningful difference to the vast majority of gamers unless you’re an eSports pro with 21/20 reaction time. However, we need to talk about that low PPI. 90 PPI is generally the minimum of what you want with a monitor at average viewing distance, and this monitor falls a bit short of that. 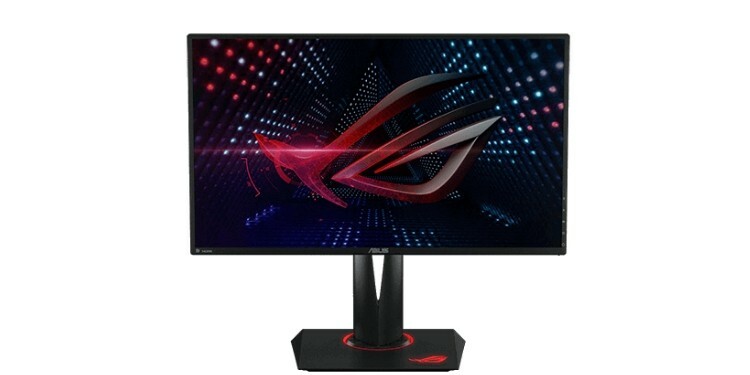 In our own 144 Hz monitor testing-- both with this monitor and others like it-- as well as the consensus amongst other reviewers… this isn’t actually a big problem. The determining factor here is viewing distance. Think about it-- your typical HDTV has atrocious PPI if gauged on the same scale as a desktop monitor, but that’s fine because you sit a fair distance back from it. Since you’ll need to sit further back from this monitor to actually see all of it, the same rule applies here. In terms of actual viewing experience, this should be just on par with a 24-inch 1080p monitor… with the added benefit of a much wider field of view, and IPS/144 Hz if you didn’t have it already. That seems like a good upgrade to us. In this section, we’ll break down the specs that we use to evaluate a monitor– whether it is a 144-hertz monitor or not– and explain what they mean to you. Refresh rate refers to the number of images a display can render in a single second. This corresponds closely to framerate, or FPS, which counts the number of frames a game can render in a single second. The FPS you can perceive is limited by the refresh rate of your display. So, to see framerates above 60, you’ll need a refresh rate above 60. That is where 144 Hz monitors come in. The standard refresh rate for most displays is 60 Hz, which is well above most TV/film content and the target for most gaming content. 60 FPS is considered the minimum for a truly smooth gaming experience. The debut of 120 and 144 Hz displays revealed that even higher framerates can provide a better experience. Overclocking in the context of this article refers to pushing your display to a higher refresh rate. If the display in question supports it without any significant compromises required, we’ll mention it in the respective review. Do note that overclocking may result in a slightly-shortened lifespan for your display, though. Resolution measures the number of pixels that make up an image. Screen size refers to a diagonal measurement of a screen’s size, in inches, and PPI refers to pixels-per-inch. PPI is derived from measuring resolution and screen size. In effect, PPI measures “actual” fidelity, at least in the way your eye will perceive it. With monitors at an average viewing distance, a PPI is roughly ~90 is required to achieve a clear image. This is met by 24-Inch 1080p monitors, and exceeded by 27-Inch 1440p and 4K monitors. If you’re wondering how much different these displays will actually look side-by-side, keep in mind the PPI measurements we’ve provided for each. Note: G-Sync = Nvidia Graphics Cards; FreeSync = AMD and Nvidia Graphics Cards. G-Sync and FreeSync may have different names, but they are fundamentally the same VRR technology. VRR stands for “variable refresh rate”, and it enables monitors to dynamically adjust their refresh rate in real-time to match with the framerate of the game being played. This results in a much smoother image and the utter removal of screen tearing, which would otherwise emerge without V-Sync. V-Sync is the only available alternative if VRR isn’t supported, and it comes at the cost of reduced performance and increased input latency. FPS caps can also be a decent alternative but will result in more noticeable performance dips in intense scenes. TN – This panel type prioritizes speed and responsiveness at the cost of color accuracy and viewing angles. Cheaper to manufacture, recommended for eSports pros. IPS – This panel type prioritizes color and viewing angles at the cost of speed. More expensive, but a much better overall viewing experience. Recommended for most gamers. VA – In-between standard. It’s alright. Note: While IPS panels do have slightly higher response times, this rarely manifests in a tangible difference in latency. The higher refresh rate of the IPS monitors in this article also help alleviate this issue. 1-2 ms – The lowest possible latency. Only TN panels can do this. 3-5 ms – The lowest latency achievable by IPS panels. Still fairly strong. 6+ ms – High latency, especially on smaller displays.